Hello PUCLonians! First, I want to make a brief comment that my PUCL anniversary is upon us! I have been PUCLing for about a year now, and it has been a great year. Thank you to everyone in the community for making this a wonderful experience. I am looking forward to PUCLing for a while to come. What an exciting time to be a Pokemon fan! The time leading up a release is fill with anticipation and starry-eyed hope. 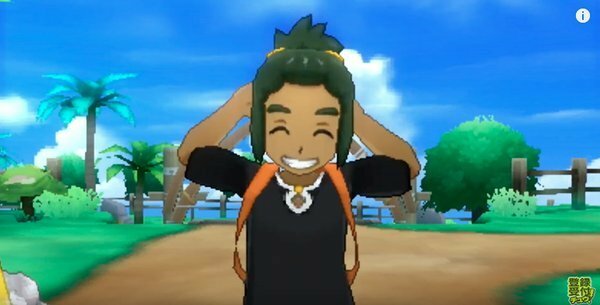 I am even more excited than I was for X&Y, which I was very hyped for: 3d environments, roller skates, running diagonally, sitting on benches! It was sweet. This trailer hasn’t shown any new features, per se, but everything I have seen so far is pretty cool. So, this week I am breaking down my thoughts on the recent Pokemon Trailer. If you haven’t done so already, go read The Fluff by the Fluffiest Whimsicott to find her thoughts on the trailer. And, obviously, if you haven’t seen the trailer, go watch here. Or go watch it again since it’s really cool! What better place to start than the starters! In traditional Pokemon fashion, we have a Grass, Fire, and Water starter. There is the wood owl, Rowlet, the fire cat, Little, and the performing seal, Popplio. The initial reactions I have seen from most people to these have been pretty lackluster. I think they are cute overall, and, in time, will find their home amongst the classic starters. Most people seem to favor Rowlet as the one they would choose as their starter, followed closely by Litten. The vibe I have gotten so far is that Popplio is the least liked, but there are still some devout Popplio lovers. I have yet to make my decision. In Gen VI, I waited until I saw the final evolutions and decide on Chespin then. I am leaning toward Litten, but Rowlet stands a chance for me to choose, as well. *Sigh* This guy seems really nice and chill… Not what I want in a rival. I miss rivals like Blue and Silver who are kind of jerks. I think it would be cool to have a rival who you don’t like at the beginning but you grow to have a mutual respect between each other by the end of the game. While this rival will be fine, I really want a jerk for a rival. Is that too much to ask for? As several people suspected, this region is based off of Hawaii. It is called the Alola region, which sounds like Aloha. I think this looks like a fantastic region! And the really cool thing… this is only one part of it! Obviously, Hawaii is a chain of islands in the Pacific Ocean. They wouldn’t emphasize just one of the islands. I know this seems big at first glance, but comparing the map below to the footage of the trainer running the trailer, this actually is the size of a large town and the surrounding area. So, it is likely you will find the majority the gyms strewn about the chain of islands. This will be really cool to explore. Hopefully, the fast swimming and soaring mechanics will return to aid in our exploration. The supposed names are Solgaleo and Lunaala. I think they are both really cool, but maybe the designs are a little busy. I like them either way. So, which game am I going to choose? Both, of course! But which one am I maining? In the history of Pokemon games, I have leaned toward 2 patterns. For brief history, here aer the games that I played first in each generation: Red, Gold, Ruby, Diamond, Black, and Y. In 4 of the 6 generations, I have played the “Red” game but I have also played the “First” game listed in the series 5 out of 6 times. Both of those patterns will continue because I am going with Sun. I just love the design of the big fire cat (not to be confused with the little fire cat, Litten). Lunaala is pretty creepy (says the guy who chose the game with a giant bird of death) but will go well with pantheon of box art legendaries that have been created thus far. As for the typings of these Pokemon, it can only be speculated at this time, but I would assume Solgaleo is at least part Fire type and it is likely Lunaala will be part Fairy type. Possibly Dark, as well. That type combination would be pretty sweet, actually! Anything Goes: Jolly Old St. Delibird Strikes Back! Anything Goes: Are you a boy or a girl?